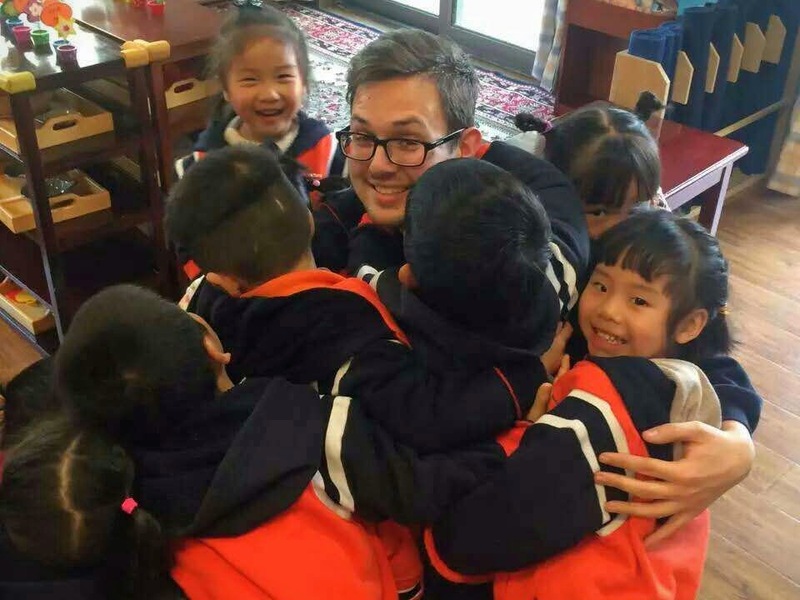 It's fair to say that being a teacher out here in Wuhan, China my own future job prospects are being expanded on a daily basis. With each additional day of experience under my belt I’ve got more meat to my CV which I can rightly be proud of and this should serve me well in my career as well as in my personal life. Life is an exciting thing, let's embrace every moment! Yes! I have chosen a path with a very obviously beneficial trajectory whilst many young people on travels round the world, whether short term, long term or just a gap year, will find this time doesn’t lend itself quite so well to that resume you’ll be firing off with job applications later down the line. But does that mean that travelers need to seek out paid work when on overseas adventures to make the most of the experience? When detailing your relevant experience on a CV it tends to follow the tried and tested format of listing past jobs in a logical order and then summarising a few “extracurricular” experiences you’d like to draw upon to help pad things out beyond the strictly professional. You can’t really just jam in “went travelling” between that checkout job in Sainsbury’s and temping for a financial services company but at the same time it would be a mistake not to reference your time as a traveller. Just think! Some experiences abroad naturally fit into a job application quite nicely so if you’ve been partaking in voluntary conservation work or working at a summer camp in America, these can be neatly presented alongside the 9-5 jobs you’ve worked back home. But for every easy to summarise overseas work placement there are thousands of travellers taking less well trodden paths that can’t be easily parachuted into that “work experience” section of your CV. Fear not however, as all this means is that you’ll need to be a little more creative with the way in which you summarise the skills you’ve picked up. I worked at the Walt Disney World Resort in Orlando, USA during one summer whilst I was at University College Birmingham, it may have only been a retail role but I broaden my horizons as I met people from around the world! I know that having work experience from working at Disney helped me secure another work placement in the USA! Maybe a summer camp in America? Choice is yours! While it may seem like something that requires minimal effort, travelling around the world actually requires you possess excellent communication skills; this is amplified if you manage to learn a foreign language along the way and will set you apart from other candidates in your home country. Admittedly six weeks in Peru won’t see you coming back fluent in Spanish but you could definitely make the most of your time to get to grips with at least the basics. After all communicating effectively with people is much more than simply sharing a common language! Applying this situation to teaching English, my students range from the ages of two to six years old so their English skills and my Chinese skills don't mix, but with the fun and energetic games we play and the colourful language material I use we find a way to make learning a lot of fun! Communication skills are required for every instance in life! So speak up! The ability to communicate with speakers of other languages, even if only to a fairly rudimentary degree, will make you a far more attractive candidate to prospective employers. Certainly there is evidence to suggest that those who are genuinely multilingual possess greater earning potential compared to those who only speak one language. Of course even without being able to speak, write and understand a foreign language there are still plenty of communication skills you can develop whilst adventuring, not least of which pertains to your own confidence levels. The more confident you are speaking to those with whom you’ve no common tongue the greater your preparedness for situations and circumstances that may be alien to you. That’s a skill that cannot be underestimated in the world of work! I can speak a smattering of Spanish and French but my Chinese reading skills are improving, it definitely makes getting the high speed trains easier from Wuhan Railway Station! Go! As you can probably tell this one’s a subject close to my heart. As someone who loves to write, both as a means to document my experiences and by way of having an outlet for my creative endeavours, blogging is a fantastic form of therapy. But far beyond its simple therapeutic qualities that dedication to writing shows potential employers you can stick to a routine, that you’re not a quitter and that you’re able to engage with an audience. There’s really no excuse for poor spelling, grammar and punctuation in this day and age so hone your skills by committing to writing on a regular basis. It’s great for getting the creative juices flowing and with each post you can enjoy the satisfaction of having created something meaningful. As a blogger in my spare time I know that having a limited budget can alter my initial plan but with a check on my finances and some flexibility, I made it happen! Get it off! Going back to the time when I was interviewing for teaching jobs in China, I turned countless opportunities down because I was continuously carrying out research on the industry. Being completely honest, diving in head first to another country and culture is one of the greatest blind leaps of faith you can make in life but doing your homework beforehand will make life a hell of a lot easier. Possessing a modern digital camera can help you capture those moments that really do count, but professional photography equipment won't cost you the earth nowadays! Planning your itinerary, managing your budget, organising travel plans for each leg of the journey and putting time in to research cultural nuances and other useful information to aid you on arrival all fits under the blanket term of “organisation skills”, being a life skill that once you’ve mastered can sit proudly at the top of any list of strengths. Being organised is key, oh it's definitely a quality to be adopted! Whilst all of the above skills should stand you in good stead, there are of course the vital life skills that just don’t fit into any one particular category of black and white boxes to be ticked. Travelling and experiencing new cultures helps to make you a better developed and happier person. It can also help you to learn more about yourself as a person, including your own strengths and weaknesses. Travelling keeps me sane, seeing new places and learning things about cultures allows me to increase my travel footprint. You’ll gain valuable insight into other cultures, but also learn more about your own country and its culture by way of comparison. You might very well find yourself missing little things about your own country enabling you to develop a whole new level of appreciation for your homeland. I can't run back to England when the first thing goes wrong, but I want a home-cooked Sunday Roast Dinner! Finally, you should find the experience of travelling helps to open your mind to better understand others. Anyone can preach tolerance as a virtue but to truly experience it one needs to develop it as a skill and you won’t do that by staying put! Taking one element from each section of this post might well change your life? Life isn't all about work but unfortunately it takes the most part of our time up, turning that necessary evil on its head could well make your travel odyssey a lot more fruitful because working abroad allows certain spots of travelling to be done whilst a steady income finances life. We don't need to all have first class university degrees or be bilingual but with a smattering of common sense and a love for seeing new places around the world could this be a breeze for you? For me teaching English enables me to travel and my blogging keeps it alive! There's a big world out there that won't wait for us, we need to get our lives in check! Undoubtedly, travel is so the answer! Travel Can Be Your Remedy!